Freedom is a funny thing. In On Liberty, John Stuart Mill wrote, “The only freedom which deserves the name is that of pursuing our own good in our own way, so long as we do not attempt to deprive others of theirs,” adding that, “Each is the proper guardian of his own health, whether bodily, or mental or spiritual.” Let each and every one of us what we perceive as good, so long as that good doesn’t infringe on the good of others. It’s a wonderful sentiment in principle and is, in essence, the core tenant of Libertarianism, but it gets a tad muddy in practice. For instance, in a vacuum, a person should be able to shoot up as much heroin as they want, provided they do so within the privacy of their own home. After all, they’re only hurting themselves and isn’t it our natural right to do to ourselves as we please? However, this line of reasoning begins to break down once you expand beyond the individual to the individual’s sphere of influence and see that there are very few individual actions that can be confined solely to the actor. If our friendly isolationist heroin addict’s parents are still living, his actions could cause undue emotional stress on them. Should the addict have a family of his own, he could irreparably damage the development of his children and destroy his marriage. Going beyond his family and friends, you then have to look at where the heroin he is using came from and what pain and suffering was wrought on its way over her from Afghanistan or Mexico or some remote country halfway around the world. There is rarely a definitive red line where personal freedom ends and communal well being begins, especially when it comes to mental illness. Except for mentally ill folks who commit a crime and are at the mercy of the criminal justice system, it is damn hard to legally mandate that someone needs treatment. For example, in the state of Maryland, anyone can request that an emergency evaluation be conducted on a friend of loved one, but all that guarantees is that the individual will be taken to the ER and evaluated for any signs of mental illness, at which point two physicians have to conclude that he or she meets Maryland’s standards for involuntary commitment. But even all of that only guarantees 10 days in the psych ward before they need a judge to prove that the patient is indeed a) mentally ill, b) in need of treatment, c) a danger to him/herself or others, d) is not willing to voluntarily seek treatment and, e) cannot be effectively helped by a less restrictive form of treatment. In short, if the person you want committed still has the wherewithal to demonstrate that they aren’t a risk to kill/injure themselves or anyone else, they’re not going to be admitted to Nurse Ratched’s ward anytime soon. How sick is sick enough to be forced to call this home? At the crux of the matter is the idea that people must be dangers to themselves or others before they can qualify for involuntary commitment and, in most states, that means either attempting suicide, expressing suicidal ideations or being an immediate threat to someone else’s safety. Now, I don’t think I’m alone in finding this to be an awful method of identifying and treating mental illness, but because of the issues surrounding individual rights, it’s become the law of the land. The majority of states have outpatient civil commitment laws that enable mentally ill individuals who are not immediate dangers to themselves or others, but who may have histories of non-compliance with medication and treatment adherence, to reenter the community under the condition that they attend outpatient treatment. 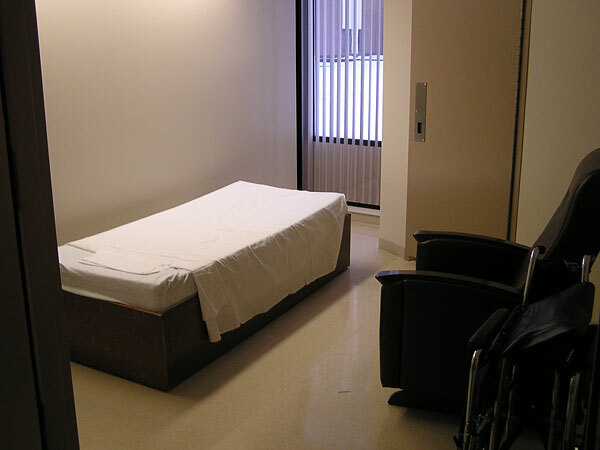 While it is difficult to enforce, a number of studies have show that these assisted outpatient treatment laws reduce hospitalizations, homelessness and crime rate. Sadly, Maryland is one of the 6 states who does not have any outpatient civil commitment laws on the books, but in the last legislative session, a bill was proposed in the Maryland House of Delegates Health Committeei to a standard for the “gravely disabled” that would make commitment appropriate in situations where an individual is, “incapable of making an informed decision … [and] unlikely, without the supervision and assistance of others, to satisfy [his or her] need for nourishment, personal or medical care, shelter, or self-protection and safety.” Like many similar bills before it, this bill concerning commitment for the gravely disabled didn’t go anywhere and will need to be reintroduced in the Maryland General Assembly’s next legislative session. However, if it is combined with judicious use of outpatient civil commitment, I think that the gravely disabled standard can be a huge step in the right direction by making mental healthcare preventative and not punitive. While you may be of a different opinion, I firmly believe that the supposed freedom to let mental illness lead one toward starvation, homelessness and poor health is no freedom at all, and that it is our duty as a society to take care of those who cannot take care of themselves.